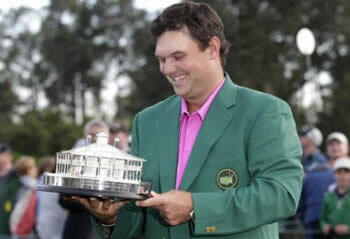 One of the most famous golf tournaments in the world, The Masters is the crown jewel of golf! It is the first of the four majors and is the sign for golfers that spring is officially here. Although PGA Tour golf is basically played all year round many regard The Masters Tournament as the official beginning of the golf season. Want to skip the Masters Tournament Preview and just want some picks? Check out our 2019 Masters Sleepers Page for tips in making Sleeper Picks and a couple of guys you should focus on. 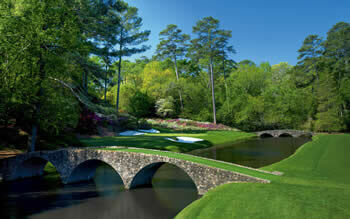 History and tradition surround The Masters most notably with the golf course – Augusta National. Set in Georgia, Augusta is a private and exclusive golf club known for its traditions and beauty. Each hole is named after a flower, holes 11-13 are known as Amen Corner, The Hogan Bridge crossing over Rae’s Creek, the once famous Eisenhower Tree and of course Butler Cabin where every 1st Sunday in April the Green Jacket presentation goes to the winner of the Masters presented by the previous year’s winner. 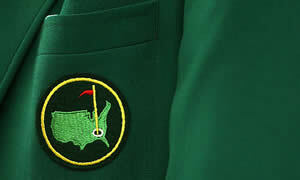 Tradition is a huge part of the Masters but the golf is the focus and even for players that have come back time and time again, you can never underestimate the bite that Augusta can put on a golfer if you hit the wrong shot. The 2019 Masters features again a top field of golfers. Nobody turns down their invitation to this tournament and 2019 will see last year’s champion Patrick Reed take on the best golfers in the world all trying to win one of the more prestigious honors in sport - a Green Jacket. With a Masters Field that has names like: Jordan Spieth, Jason Day, Dustin Johnson, Rory McIlroy, Justin Thomas and Hideki Matsuyama – The 2019 Masters will once again be one of the best tournaments of the year to watch! For Fantasy Golf Fans, there is no shortage of 2019 Masters Fantasy Golf Contests. You can play in small head to head contests, Free Masters Fantasy Golf Contests and each year we give you details on the BIGGEST Fantasy Golf Contest of the year where you can walk away with $1 Million! Fantasy Golf has become one of the top fantasy games to play and The 2019 Masters Tournament will be the biggest year yet! Where is the 2019 Masters being played? As mentioned above you can look at our list of the Top 2019 Masters Fantasy Golf Contests or you can skip to the BIGGEST Fantasy Golf Contest for the 2019 Masters. In the past it has filled up 12 hours before the Masters tees off so if you are going to play…don’t wait until the last second to enter. It's even more important this year with us giving away a FREE TICKET to the Fantasy Golf Millionaire when you make your first deposit of $5 or more. You can enter it now and then set your lineup up until the first golfer tees off on Thursday morning. Although we aren’t in the business of giving out Sleeper Picks for the Masters, we do have a page that will help you find some 2019 Masters Sleeper Picks as well as we offer you a couple of guys that we will have in our fantasy golf lineups that we like as Sleepers for the Masters. The Masters is in some aspects a predictable tournament. Course history matters but so do strategies like playing the hot golfer and having golfers that have an all-around solid game. You can do all of this analysis…or you can trust the experts at GolfStats.com. They do all the number crunching and they make the plays that they tell you to make. Their fantasy golf picks in 2019 have been solid and for a tournament like the Masters it can’t hurt to have some extra professional opinions if you are going to try to really cash in for the 2019 Masters. Because you aren’t an expert! If you are playing fantasy golf for fun then you don’t need expert golf picks for the Masters. If you are really looking to retire early by winning the Fantasy Golf Millionaire Contest at DraftKings then you may want to have some professionals help you build some lineups to improve your odds of winning.